On April 29th, 2016 the Dota team announced a Workshop contest for Warhammer themed sets. A few months later, we have ourselves Warhammer: Treasure of the Old World. Now, as a fan of Warhammer universe, this turned out better than the TI6 immortals for me. The submissions were accepted until August 22nd, just a bit after The International and there was quite a lot of them. I visited the Workshop pretty much daily checking out the newest submissions and hoping that at least one I like gets in to the game. The day has finally come, or the day after actually because Valve time. In the end, 13 sets got in. 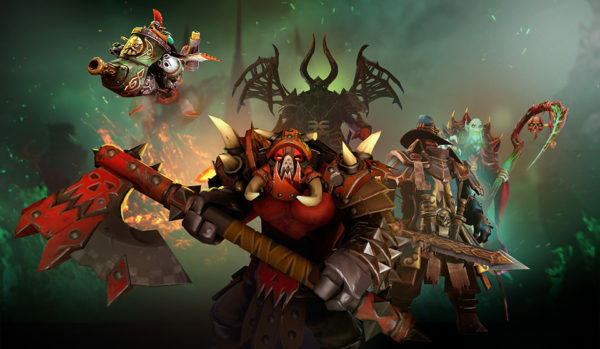 This treasure contains new item sets for Necrophos, Kunkka, Doom, Disruptor, Beastmaster, Centaur Warrunner, Alchemist, Gyrocopter, Sniper, Broodmother, Pudge, Winter Wyvern, and Axe. There are also two different versions of each set! The chest can be bought for $2.49 in the Dota 2 Store. Lets look at some of the items within the Treasure of the Old World! Exactly 7 days after purchase the items will be tradable/marketable, so you can expect to see listings on LootMarket on September 9th and beyond. This chest is an example of how you don’t need a rainbow of particle effects to make great looking sets! Good luck everyone. Hope you get the drops you’re looking for! If you’re looking for yet another Pudge set, shame on you.